There is no real eureka moment when making wine - half the time it is finding the right way and then just repeating year in and year out, which kind of takes out a little of the romance of winemaking, but if it works… So, each year Joch picks the Shiraz on flavour and sugar ripeness. The grapes are crushed and then fermented in open vessels before being transferred to barrel, in some case to finish ferment and other batches will go into stainless steel. 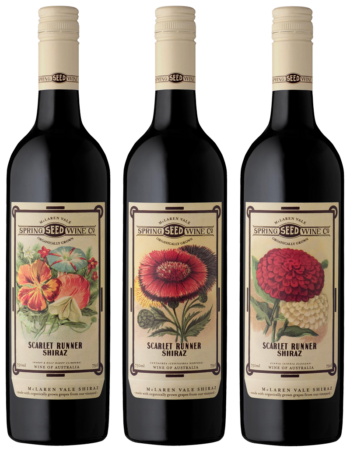 Scarlet Runner is designed to be a fresh style of Shiraz without too much oak influence, so we don’t go mad with oak. We do use a couple of new barrels, but for the most part we use old oak and stainless steel. We bottle the Shiraz roughly 12 months after we picked the grapes. This is a lovely fresh bright Shiraz, true to region and variety. There are bright red and some dark fruits on the nose, a hint of chocolate and a mere whiff of oak. The tannins in the mouth are smooth and overall the wine is fresh, juicy and quite delicious. Try it with a Tuscan pepper stew or Peposo and if you have enough Scarlet Runner, you could use it to make the dish, too!